Genesis BioHealth is proud to announce our newest product, Regenesis TS©. TS stands for “Therapeutic Strength”. This offering makes it economical for customers who wish to follow the Japanese protocol. 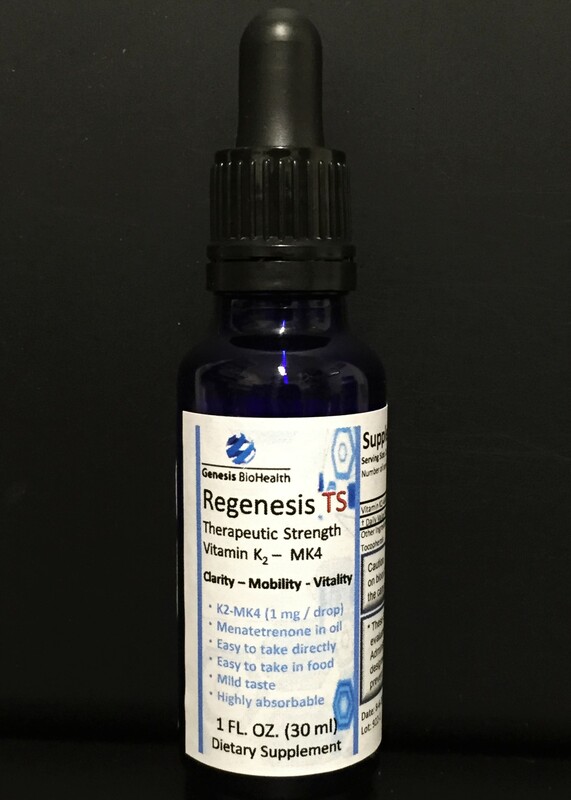 Using the same standard in purity and strength as our other Regenesis© products, the TS offering makes dosages over 4 mg/day of MK4 easily possible. Check out Regenesis TS today!